We're sold out at the moment. Follow us on twitter to find out when we're back in stock. 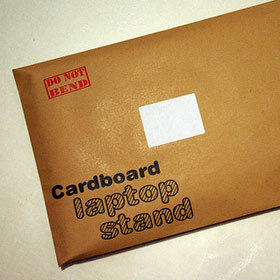 The cardboard laptop stand is ideal if you need to take it wherever you take your laptop, or if you want to be able to tidy it away when you're not using it. 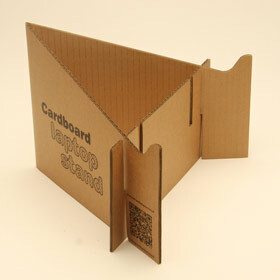 It folds flat to A4 size and will easily fit in your laptop bag, an A4 folder or a drawer. 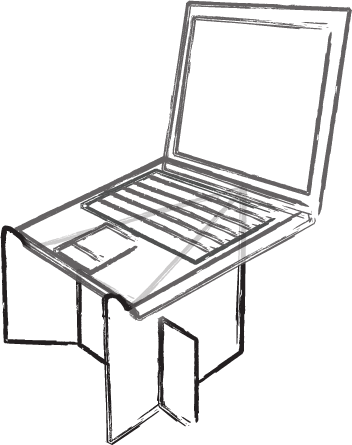 The laptop stand has been tested with laptops that have a screen size of up to 15.5 inches and weighing up to 2.6kg. We do not recommend using our stand for laptops that exceed these dimensions or greatly exceed this weight.